> In the name of 101 Sponsors, I invite you all to the most blessed times of the 8 day Lent and the three day Feast. All details are in the flyer given below. Sponsors' names are on the second page in the next mail. Printed notice will be distributed on Sept 3-4 weekend. > God bless your families! In the name of 101 Sponsors, I invite you all to the most blessed times of the 8 day Lent and the three day Feast. All details are in the flyer given below. Sponsors' names are on the second page in the next mail. Printed notice will be distributed on Sept 3-4 weekend. Our scheduled Pothuyogam on this Sunday (8/28/2016) will be cancelled due to the construction works in the social hall. We do not have social time either this Saturday (8/27/2016) or Sunday after mass due to the same reason. We apologize for your inconvenience and appreciate your cooperation in this matter. Little Angels choir will be practicing today from 7 PM to 8 PM. Children who wish to participate for the St. Mary's feast mass choir must attend today's and next Friday's practice. Please see the attached job opportunities in MTA. Thanks to John Devasia for sharing. 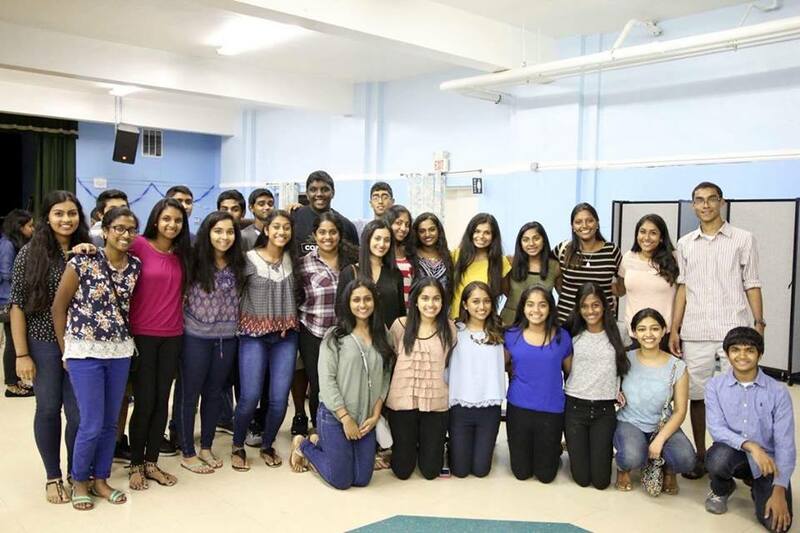 Yesterday night over 65 youth attended the Praise Concert at the St. George Syro Malabar Church in NJ! About 30 of those youth were from our parish (see the attached photo)!! Our youth had the chance to meet other youth from around the Northeast area, hear original songs from Father Stan Fortuna and take part in adoration afterwards. Thank you to all of our parents that allowed their children to attend - please look out for more youth events this year! Please also pray for our youth as they go back to high school, college and continue work. This is one final reminder that the Youth Praise Concert will be tonight at 5 pm at 408 Getty Ave Paterson, NJ. The cost of the event is $5 which covers dinner. Parents: Please arrange transportation for your child to and from Paterson. There will NOT be a group leaving from St. Boniface tomorrow (no carpooling). Please keep all youth in attendance in your prayers. Little Angels will be singing choir for the St. Mary's feast mass on Sept. 9. There will be practices on the upcoming three Friday's (8/19, 8/26 and 9/02) from 7 PM to 8. 30 PM. The bible study will have a a fee of $10 in order to pay for lunch, snacks and drinks for the 3 days. There will be no breakfast. Thank you and may God bless you. This email is regarding the youth bible study happening this week at our church. The sessions will be on Tuesday, Wednesday, and Thursday of this week from 9:00 am- 4:00 pm. If your child is interested please contact Francis Thomas via text or email so we can have an accurate headcount for food arrangements. As we all know, our main feast is scheduled on September 9th, 10th and 11th 2016. We have a St. Mary's Feast Presudenthies meeting after mass tomorrow in our social hall. We kindly request all presudethies try to attend this meeting. On August 16th, 17th, and 18th 2016, there will be a bible study meant for kids from seventh to twelfth grades, and the registration sheet is attached to this email. If you have any questions or concerns please feel free to contact Francis Tomas at francispanchithomas@gmail.com. Thank you for your time, and may God bless you all. Due to the way of the cross in the Lent and the First Friday Adoration, we are changing the Malayalam School time to Friday 7.30 PM to 8.30 PM. Registration starts this Sunday. The first 25 children register will be given a free string bag. Piano school - new time Friday 6.00 PM to 7. 30 PM. Calling all of St. Mary's Youth! On Saturday, August 20th at 5 pm at the St. George Church in Paterson, NJ there will be a Northeast Regional Praise and Worship Concert! The concert will feature youth from the whole northeast region (NY, NJ, CT and Boston churches) and our special guest is Father Stan Fortuna, a priest who will lead us in worship and adoration. There will be faith, fun, and fellowship so all youth (high school and above are invited)! Parents, this a great way for youth to reconnect with God before school starts again. There is a $5 fee to cover dinner. If you or your child are interested, please see the attached flyer and consent form. The form must be signed and given to a Youth Leader (Anjali Vettom, Amanda Kadamthottu or Ashley Kadamthottu) as soon as possible to coordinate transportation. *Parents: We are in great need of chaperones and drivers to Paterson, NJ. Please consider donating your Saturday evening to help our youth! Please email Ashley Kadamthottu at ashley.kad@gmail.com if you can help in any way. Once again, we are encouraging ALL youth to attend this great event! Thank you for your continued cooperation, support and prayers. The following Kids Club program time change will be in effect from September. Mary Matha Malayalam School - new time Friday 7 PM to 8 PM. Registration starts from Next Sunday. Piano school - new time Friday 5.30 PM to 7 PM. Please register your name at the Help desk.